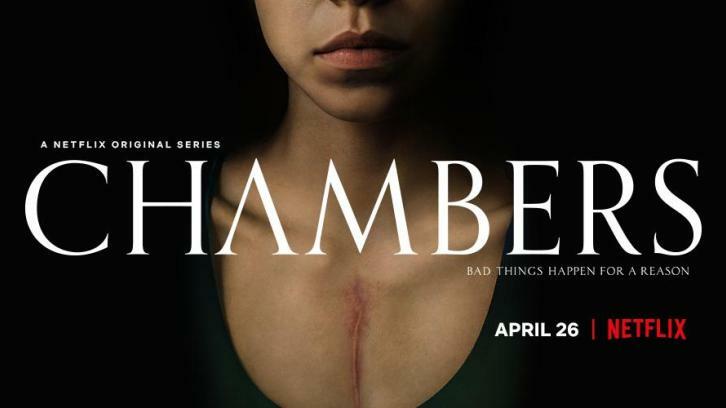 NETFLIX RELEASES FIRST LOOK AT NEW HORROR SERIES, CHAMBERS, STARRING UMA THURMAN, TONY GOLDWYN, and NEWCOMER SIVAN ALYRA ROSE, LAUNCHING ON NETFLIX APRIL 26, 2019. A young heart attack survivor becomes consumed by the mystery surrounding the heart that saved her life. However, the closer she gets to uncovering the truth about her donor's sudden death, the more she starts taking on the characteristics of the deceased -- some of which are troublingly sinister. Chambers will premiere globally on Netflix April 26, 2019. Series creator Leah Rachel spoke about the show saying: "Taking place in a mystic, New Age pocket of Arizona, Chambers is a psychological horror story that explores the different ways we metabolize trauma. But what starts out as a grounded human story eventually pivots into something far more strange and fucked up than you were expecting."